When I was a toddler, my mom used to freeze fruit punch into Popsicle moulds in what I expect was a clever trick used to get me to shut my face. Case in point, I’ve always been in love with Popsicles, with the exception of a short period of disenchantment at the age of eight when I tripped while running with a Creamsicle and scraped my knee (I tried to find a picture of toddler me eating a Popsicle, I really and truly did). Before we go any further, let’s set the record straight. Contrary to popular belief, Popsicles aren’t just for summer weather. They’re also for wintertime tunnel walking and 1 a.m. snacking. Let me explain. It’s January 2008, the winter of my first-year as a student at Carleton University. For a handful of my friends and me, it became almost a daily tradition to walk in the underground tunnels (yes, actually a thing at Carleton) in the middle of the night to go and buy Popsicles at the residence convenience store. Wearing our leggings, oversized sweaters and flip-flops, we’d snicker at outsmarting Mother Nature and her -30° weather pounding the outside walls while we ate our iced treats in the slightly stale warmth of our underground refuge. 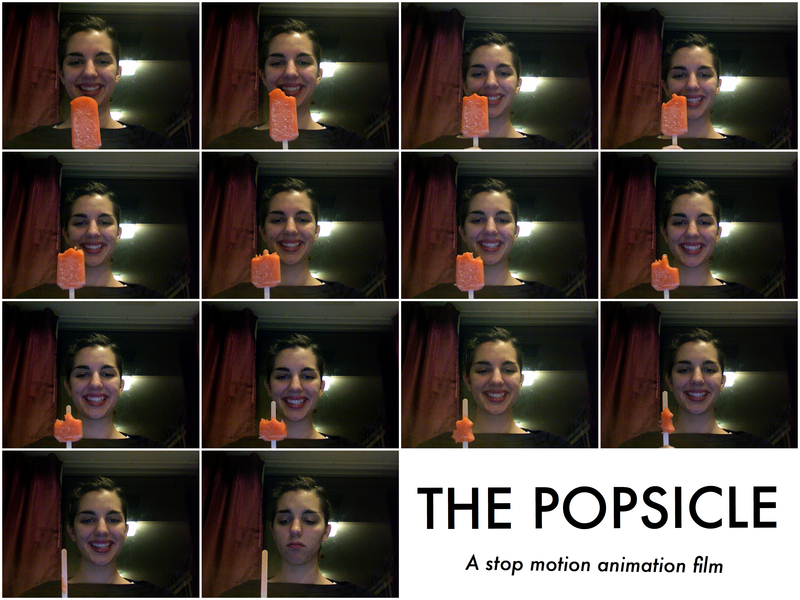 One of my best friends, Ariel, and I would even make videos featuring our Popsicles (just watch the first five seconds). And come on, don’t even try and pretend that you didn’t do weird things in residence too. Fast forward two years later and my love affair with Popsicles re-emerged. 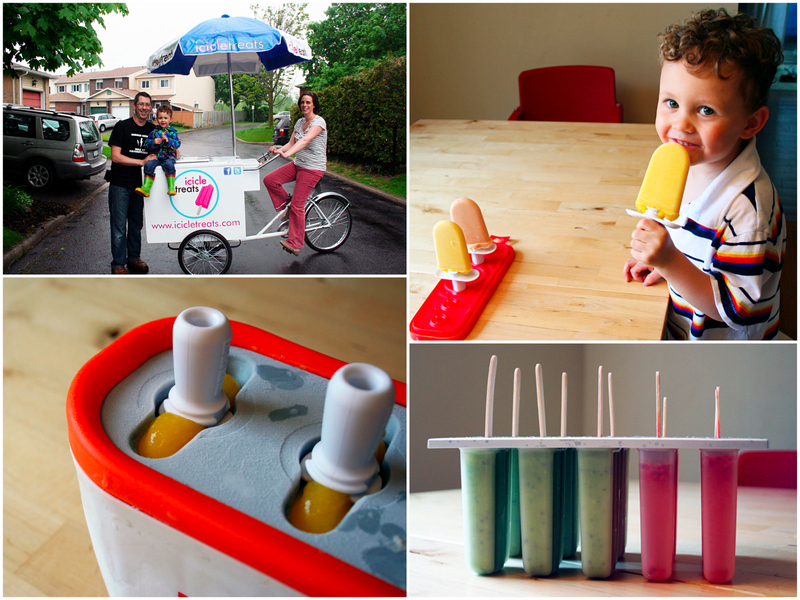 I wrote a story for the Ottawa Citizen in which I interviewed Erin Kennedy, who was making homemade Popsicles to sell on her pedal-powered freezer bike. Erin introduced me to the gourmet side of Popsicles (not to mention her adorable son) – flavour combinations and colours that I never knew could be combined in iced form. Now, in summer 2012, my childhood love has come full circle. I am making my own Popsicles. Some things change, some remain the same. I am, for example, still using that same set of Tupperware Popsicle moulds that we used when I was a toddler. They are in miraculously good shape (I thank my mom) and, for the purpose of these experiments, completely perfect. This first batch of strawberry-orange yogurt Popsicles was inspired by Canadian Living’s August 2012 cover, in which five gorgeous Popsicles are arranged like models on display. I ate two Popsicles while writing this post and, since they’re made with fresh fruit, low-fat yogurt, and sweetened with honey, I didn’t feel guilty at all. One more to make it a hat trick? Don’t mind if I do. PS: a technicality that I believe should be cleared up – I use a capital “P” on Popsicle, because, just as Kleenex is a brand of tissue, Popsicles are a brand of ice pop (doesn’t this term make you feel like a jumper-wearing British child?). In these two instances, the brand name because some popular that it stole the identity (sneaky bugger) of these two products at-large. You know, just in case you were wondering. In a blender or food processor, purée together strawberries, orange juice and 1 tbsp of the honey. In a separate bowl, whisk together the yogurt and the remaining honey. Spoon the yogurt mixture into the mould, filling it halfway. Fill the rest (but leave a small gap at the top) with the berry mixture. Freeze until firm, about three hours. Makes 8 Popsicles, using my mom’s moulds. I NEED to add a Popsicle mould to my kitchen immediately. I feel like an irresponsible toddler-mom right now! Hi Hillary, it’s winter here in the Southern Hemisphere, and we just made some ice cream sandwiches (it’s on my blog)! There is always an opportunity for an icey treat, winter, spring, summer or fall : ) Love the look of your popsicles! Wow the Popsicles look great Hilary. Just perfect for the hot humid days. I’m so glad you never threw out our old Popsicle moulds! They’ve been great.